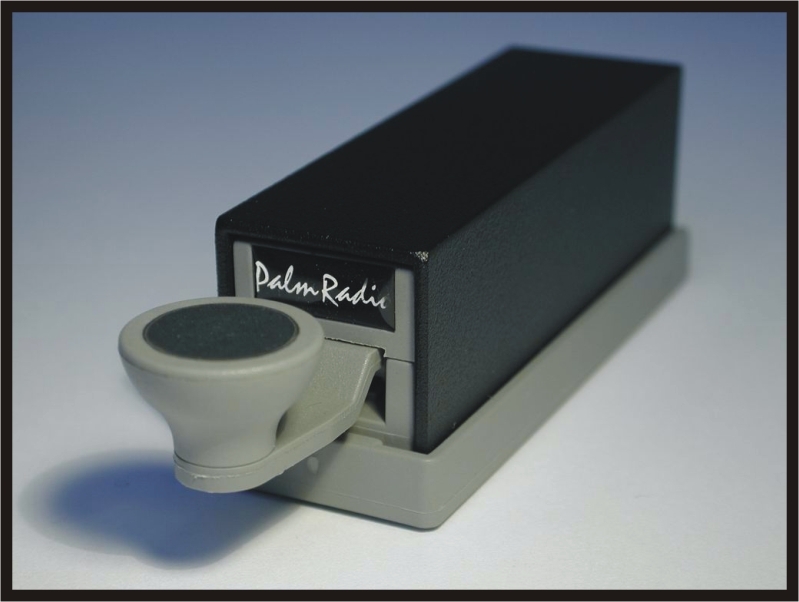 Two existing Palm Radio products have been equipped with this new technology, and others are in development. 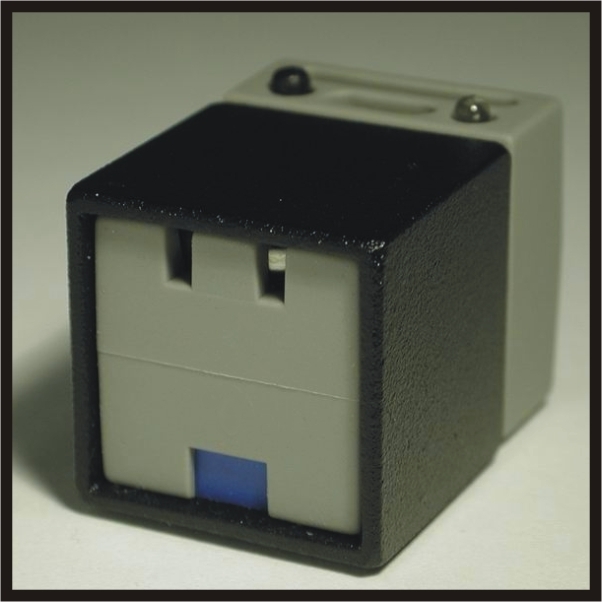 Our legendary Code Cube, based on the well-known PK4 memory keyer IC from Jackson Harbor Press and specially customized Palm Radio software. 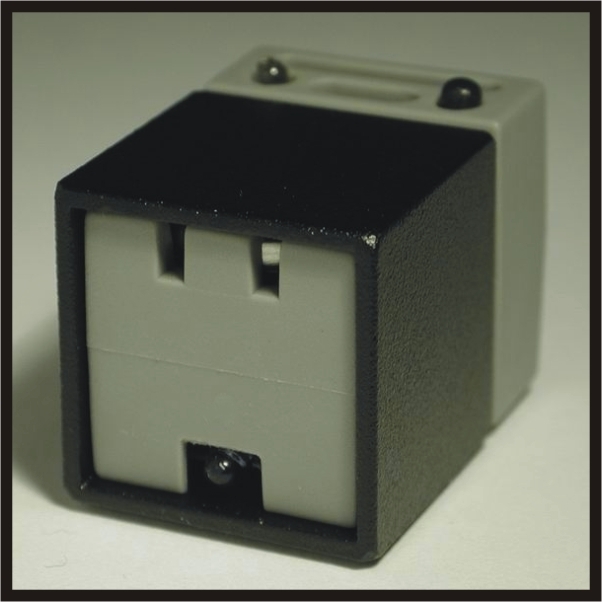 An infrared LED at the back of the housing allows connections of up to 5m to the IR-Receiver or the IR-Sensor. Makes any existing Palm Mini Paddle go wireless! Our portable straight key, with retractable mechanism and versatile QuickMount. 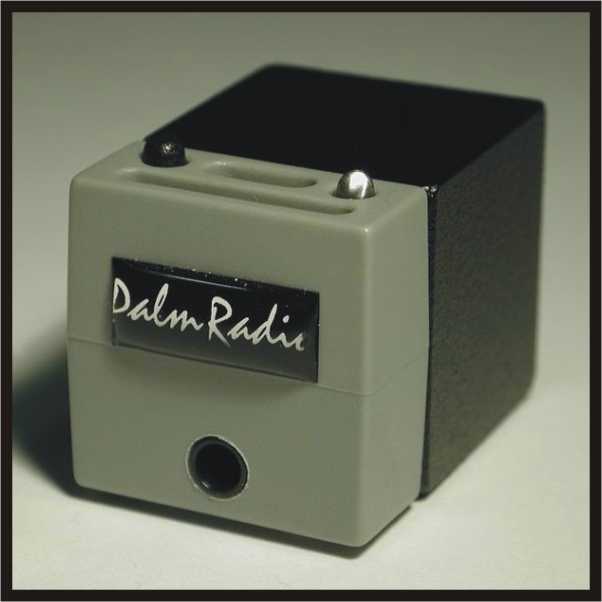 The IR version includes an integrated sidetone generator which can be muted or set for any of 7 audio frequencies, making it ideal for practice. Powered by a CR2032 lithium cell. The IR-Transmitter can be used with ANY straight key - just plug your key into the 3.5mm phone jack and get "on the wave"! Equipped with a sidetone that can be muted and switched in frequency. Powered by a CR2032 Lithium cell, the IR-Transmitter features a 3mm red status LED, and it works with the IR-Receiver and the IR-Sensor. 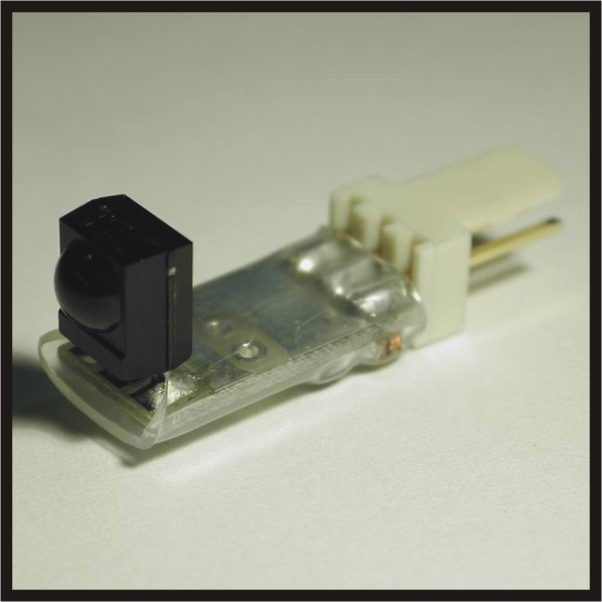 Stand-alone miniature infrared receiver 25x25x35mm (1"x 1"x 1.4") for use with the IR-PPK, the IR-Code Cube or the IR-Transmitter. 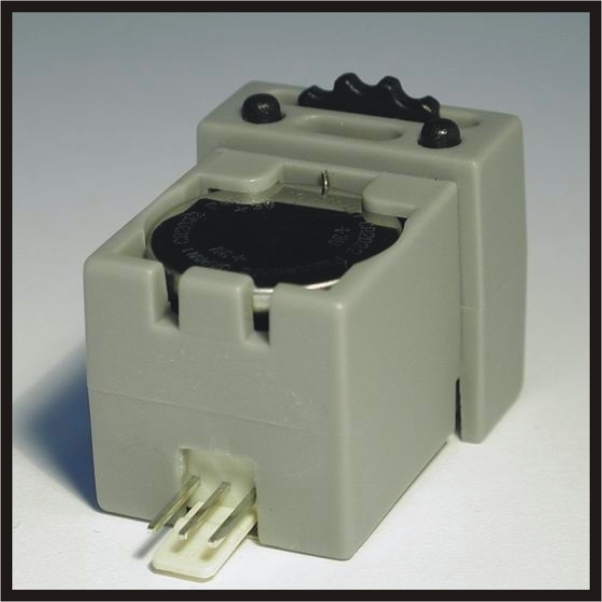 Powered by a CR 2032 lithium cell, the receiver has an auto power-off function. Current load on idle is 1.5mA, with signal 1.9mA. Battery life is approximately 100 hours (equals 600 QSOs of 10 minutes each). Miniature infrared receiver module, to be built inside your favorite rig. Ideal for homebrew equipment, very low power consumption. The circuit board is only 9x18mm (plus 3-pin Molex plug), control LED (SMD) on board. All parts are SMD, connecting cable with 3-pin Molex plug supplied. Powered directly from your rig, use any voltage from 5 to 15V at 1.5mA. Unlike data communication that uses an RF link (e.g. "Bluetooth"), optical rules must be kept in mind when using an infrared link. That means that the transmitter and the receiver communicate via a straight line or reflected path, that is, "line of site" or via reflections from bright surfaces. The output power of the IR-LED can unfortunately not be expanded arbitrarily because this would shorten operation time dramatically, also the relatively high internal resistance of the battery doesn't allow current pulses over 100 mA. That means that the range of operation is limited. Theoretically it would be 10 meters (30') with accurate orientation and clear line of site, but it has purposely been reduced to approx. 5 meters. This reduces the possibility of interference and interrupts of the IR data transfer from direct sunlight for the IR-module TSOP 34840. Despite this attenuation, direct sunlight on the blue cover of the IR-RX should be avoided since it would at least reduce the operating range. Unfortunately most infrared remote controls that are used in consumer electronics use the same range of infrared waves - you should avoid using them at the same time as your IR-RCVR. This also applies to infrared computer mice, IR links used in laptops and transmitters for IR headphones. 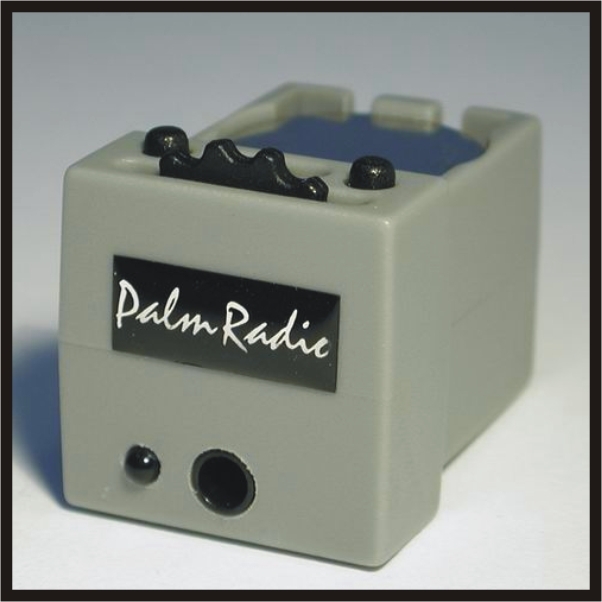 If you are a user of Palm IR Link equipment, your comments could be here! Write to us via the link below, and please be sure to say specifically that we can use your comments on the web page.